It's hard to imagine that tofu used to be one of America's most loathed foods. Today the curd (made from mashed soybeans) can be found everywhere, from your neighborhood Target to the most upscale restaurants. 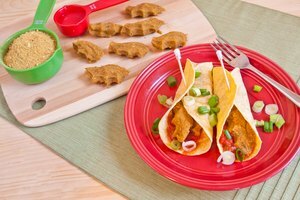 Lately tofu is gaining even more favor with the rising popularity of plant-based diets. Long touted for its health benefits, tofu is one of the richest vegetarian sources of complete protein. 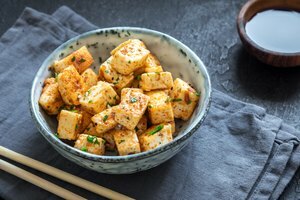 Though this super-versatile meat alternative is a blank canvas on its own, tofu does a great job of taking on other tastes in a dish, soaking up and showcasing your favorite flavors and seasonings. If you're looking for a simple, healthy, comfort food in a bowl (who isn't? ), tofu's texture holds up really well in soups. You can use soft or firm tofu in soups, but you'll get a different result with each, so choose the one that's right for your recipe. Soft or silken tofu has a high water content. It's spongier than firmer varieties of tofu so it soaks up flavors and holds up especially well in broths, absorbing their subtleties. One thing to note: because it's delicate, soft or silken tofu is prone to breaking apart if you don't handle it carefully. So stir your soup gently. Firm and extra firm tofu have a lower water content than the soft variety, so they hold their shape more effectively. You can cut firm tofu into small cubes, larger cubes, or long strips, which make a great substitute for chicken (like in this Tofu "Chicken" Noodle Soup). Add firm tofu to your soups in the final 10 to 20 minutes of cooking time. This will allow plenty of time for it to soak up flavor without compromising its texture. Many Asian grocery stores sell deep-fried tofu in cubes and strips, or you can pan-fry your own at home. Fried tofu retains its texture quite well in soup, adding a nice bite of savory crunch. And while a less healthy choice than soft or firm tofu, a little fried tofu can go a long way. Think of it more as a crispy garnish to top off your soup at the end of cooking. A staple in many Asian cuisines, most traditional soup recipes that call for tofu are based on Asian flavors. The Chinese classic hot and sour soup uses strips of silken tofu, which take on the broth's flavors of soy sauce, rice vinegar, and sesame and chili oils. 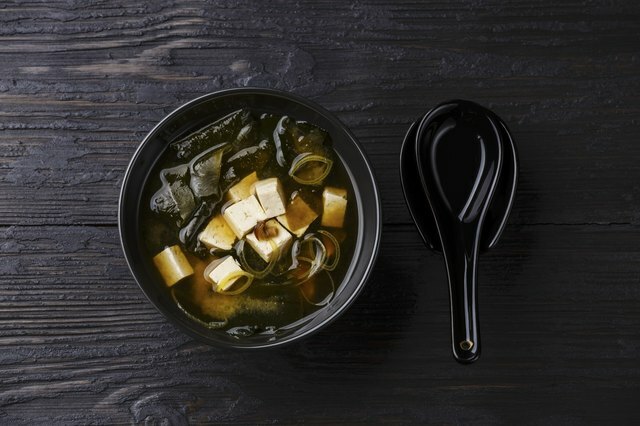 Japanese miso soups have cubes of soft tofu, which take on the flavors of the miso broth and seaweed. Korean soups with tofu often feature pungent and savory kimchee as a seasoning. But that doesn't mean tofu can only be cooked with Asian ingredients. It's a great stand-in for chicken, beef, pork, or lamb in just about any cuisine, including Italian, Mexican, and more. The health benefits you receive from the tofu you use in soup depends on the type of tofu you use. Silken and soft tofu, with their higher water content, have less calories and fat (mostly the unsaturated kind). But firm tofu, with less water relative to its volume, is packed with more soy and therefore more nutrients per serving. Whichever variety you choose to add to your soup, tofu is rich in protein and contains all nine essential amino acids. It is also a valuable plant-based source of potassium, calcium, magnesium, manganese, selenium, phosphorous, copper, zinc, vitamin B1, and iron. Tofu, we were definitely wrong about you.